Knockfierna is situated in the village of Ballingarry, County Limerick. It’s name as Gaeilge, Cnoc Fírinne translates to ‘hill of truth’ because the locals swear by it as a weather guide by the appearance of the summit in the morning. This hill which stands at 288 meters offers more than just the opportunity to hike. Dotted along the journey to the summit are ruins of famine village houses that have been preserved by the Knockfierna Heritage Society. The worst year during the famine was in 1847 and this has been represented by the film Black 47 which was released last year. There’s also many books that have been written about the Irish Famine, for example, Irish author Marita Conlon Mc Kenna’s series following the O’Driscoll siblings from the famine to emigration, ‘Under the Hawthorn Tree’, ‘Wildflower Girl’ and ‘Fields of Home’. If you’re stuck for time but still want to find out more about the famine check out singer Sinead O’Connor’s song below. 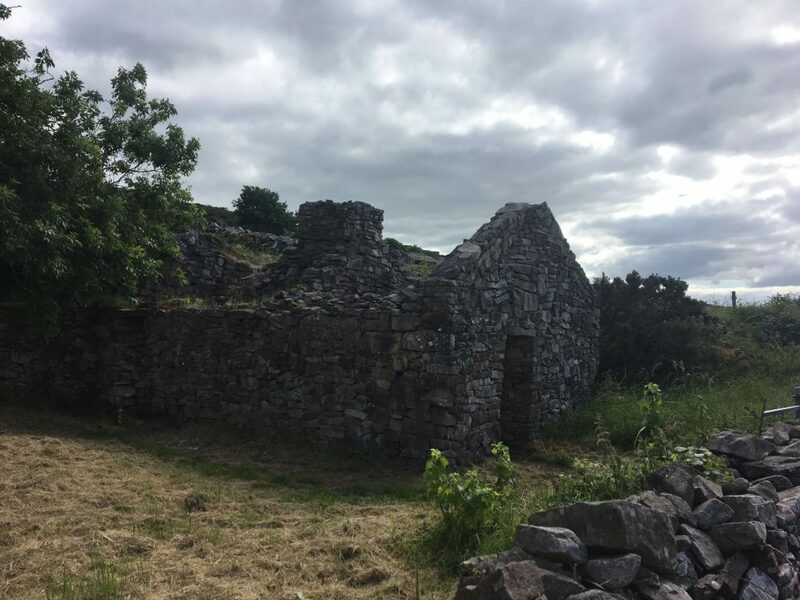 It took over 30 years for the Knockfierna Heritage Society to complete their project of preserving the famine village ruins that remind us of our country’s former struggle. One would imagine after that many years of effort the site would be turned into a tourist mecca overnight. However, the beauty of the famine village is that it has remained almost like a hidden gem, like you are meant to naturally come across these snippets of history while on your walk on the hill. 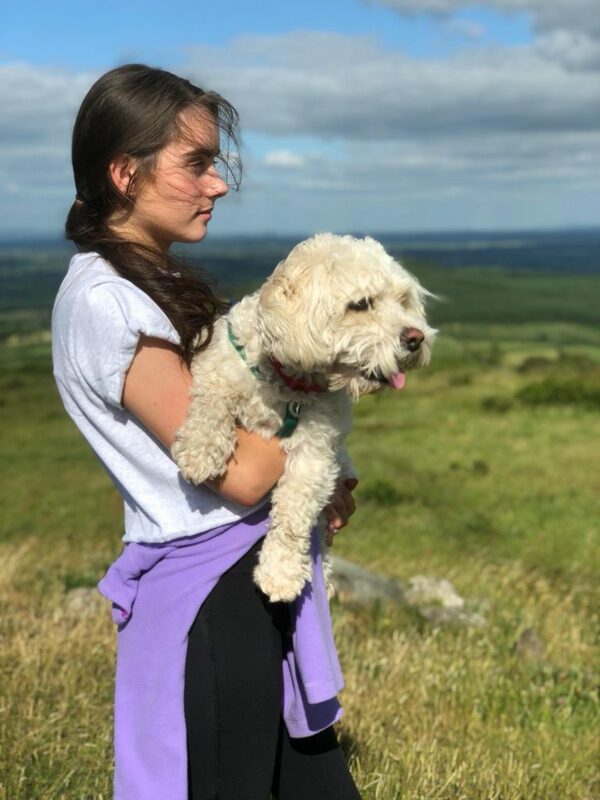 The Circular caught up with local resident and frequent walker of Knockfierna Celine Burke to ask her about the hill and the significance of the famine village ruins from a local’s perspective. Celine, were you always aware of the famine village on Knockfierna? If not, when did you become aware of it? Well, it wasn’t until my brothers went up and explored Knockfierna around three years ago that I realised there were famine houses still preserved. I’ve since introduced the beautiful walk and the ruins to many family and friends as well as my dog who loves the trek up! Do you think Knockfierna Heritage Society has done the best job to preserve the famine village? I think they have done a marvellous job in preserving these famine houses, it almost seems they have been untouched by man but worn by history. In your opinion is there anything else that could be done to add to the famine village? I don’t really believe there is a need to add anything to the ruins. It seems appropriate to just let the buildings speak for themselves rather than putting up unnecessary information signs. Would you prefer to see the famine village ruins stay as a hidden gem or turn into a tourist attraction? A hidden gem is a great way to describe Knockfierna and I think it should remain that way. The peace and tranquility that can be found when wandering around is incredible. I believe the history this place holds should remain as pure as possible. Match Report: Dolphin 6 UL Bohemian 13.